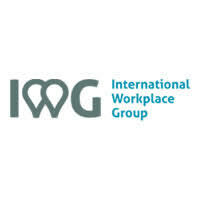 IWG Plc (LON:IWG), the global operator of leading co-work and workspace brands, today announced that it has entered into a strategic partnership with TKP Corporation (3479:TYO) (“TKP”) in Japan. IWG will divest its Japanese operations to TKP and the parties have agreed an exclusive master franchise agreement for the country. TKP, which is listed on the Tokyo Stock Exchange, is the leading provider of conference rooms and banquet halls for rental in Japan, operating from 249 locations across the country. IWG and TKP have entered into a definitive sale and purchase agreement in relation to 100% of the shares of Regus Japan Holdings K.K., which holds IWG’s Japanese operations comprising 130 flexible co-work centres as at 31 December 2018. IWG will receive gross consideration of £320 million payable in cash at completion subject to completion accounts adjustments for cash, debt and working capital. Completion is expected to occur in May 2019 and is conditional only on Japanese anti-trust clearance. IWG and TKP have also entered into a long term master franchise agreement which provides TKP with exclusive rights to the use of the Regus, Spaces and OpenOffice brands in Japan. TKP will continue to operate the Japanese centres under IWG’s brands and operating platform, and has committed to a development plan which will add significantly to IWG’s centre network in Japan. Under the master franchise agreement, IWG (as master franchisor) has committed to provide on-going services and support to TKP (as master franchisee) including access to IWG’s brand portfolio, global network, leading international sales and marketing platform and best in class operational infrastructure and technology, in return for an on-going platform fee linked to system-wide revenues in Japan. The divested business contributed £94.4 million to Group revenue and generated EBITDA of £20.6 million in 2018. The total gross asset value of the divested business as at 31 December 2018 was £98.3 million. Proceeds from the divestment will be used for the Group’s general corporate purposes. Mark Dixon will join the Board of Directors of TKP as a non-executive director. Shingo Nishioka, country manager of IWG Japan since 2010, will transfer as part of the transaction and will continue to drive the development plan within the TKP group. Click IWG for the full archive.